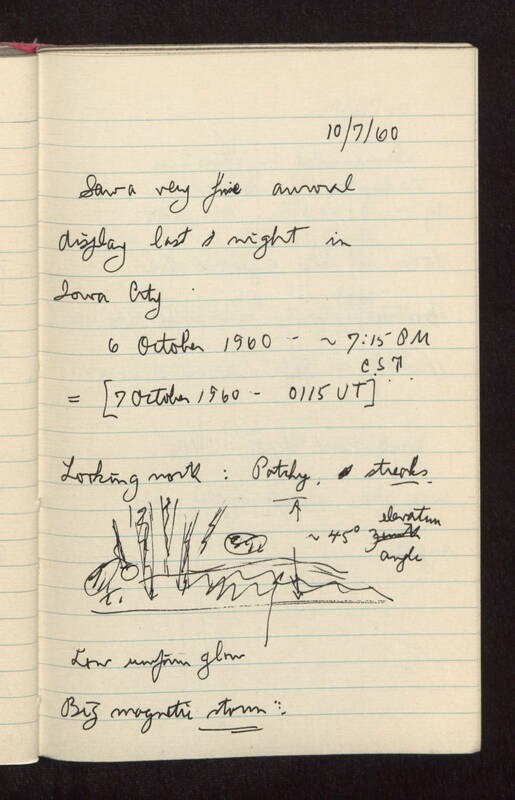 10/7/60 Saw a very fine auroral display last night in Iowa City 6 October 1960 : ~7:15 PM C.S.T. = [ 7 October 1960 : 0115 UT ] Looking north : Patchy, streaks. [sketch/picture] drawing includes aurorae, ~45 degree elevation angle Low uniform glow big magnetic storm.